Masterdatadirect offers blank check paper supported for any software that uses a laser printer with MICR toner. All blank check paper is produced on Premium MICR 24# paper with a 5 Security Features including VOIDED pantograph and Original Document on the back. 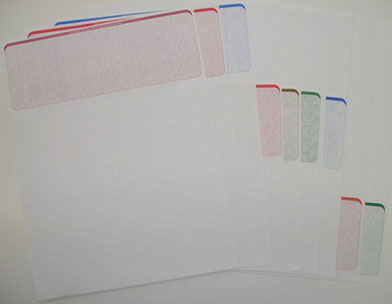 Blank check paper is available in 5 colors: Blue, Brown, Green, Red and Maroon. If you have any questions concerning blank laser paper feel free to call customer service toll free at 888-447-3282 and we will gladly be of assistance. For higher quantities call Customer Service toll free at 888-447-3282.